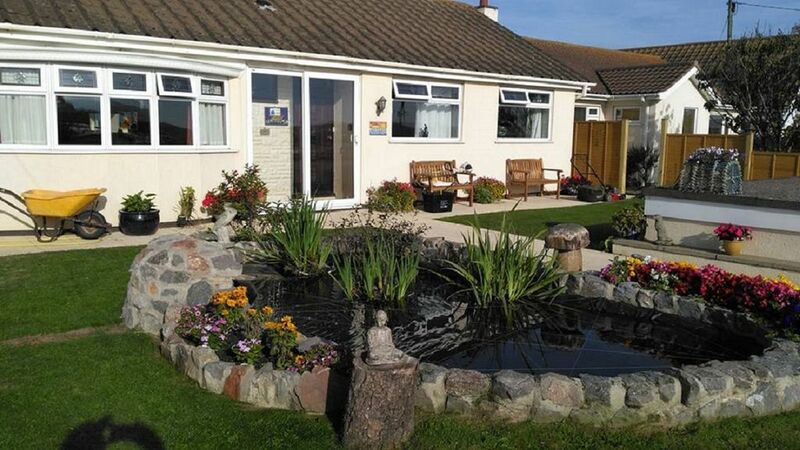 Self Catering Seafront Bungalow with large secure garden for children and dogs. This is one of the most stunning holiday lets in Brean with private beach access and fabulous panoramic sea views across the bay and its five mile stretch of sandy beach. The back garden, which is gated and secure, opens directly onto Brean Beach which is dog friendly all year round. To the front of the bungalow are more stunning views across the Mendip hills nestling in the beautiful Somerset countryside. Close to all amenities including local restaurants and pubs. I am very happy to introduce you to Otters Summer Holiday Home in the Beautiful Coastal Village of Brean. I live in the village and therefore will be close by to help you in any way I can, and also to provide you with any local information that you may require. I provide a high standard of personal care and cleanliness and will do all I can to ensure you have an enjoyable and stress free holiday at Otters. I look forward to welcoming you. As dog lovers ourselves, we are very happy for you to bring your beloved pets. The garden is safe and secure and the beach is dog friendly. There are lots of walks, along the beach, around the farms and up to the top of Brean Down, if you have the stamina! The climb is worth it for the stunning views. Brean is a perfect location for you and your 'best friends' to enjoy some time together just having fun. Many of the pubs are dog friendly and have seating areas outside. Ample off road parking is cctv protected for your security. Coffee, tea, sugar, milk and of course....a bottle of wine. Large Oak Table and Breakfast Bar. Thank you for your very lovely review. I am very happy that you enjoyed your stay with us here in Brean. It was a joy to meet you and your family and I hope to see you all again soon. We had a lovely break. The bungalow is wonderful, quiet and relaxing. The dogs loved it, we had a job to get them to come home.